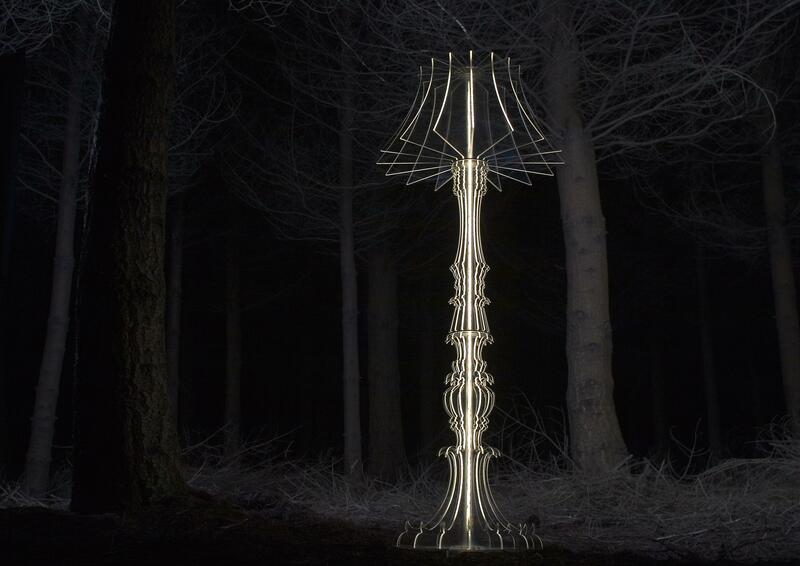 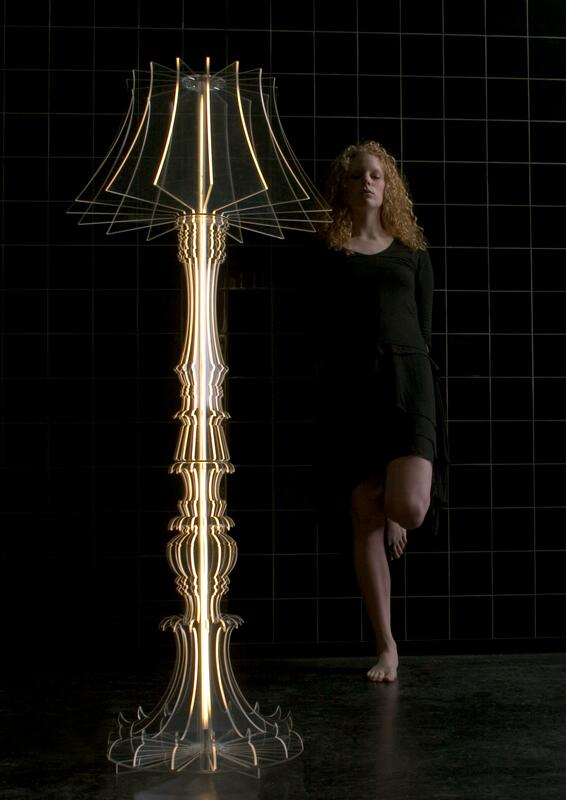 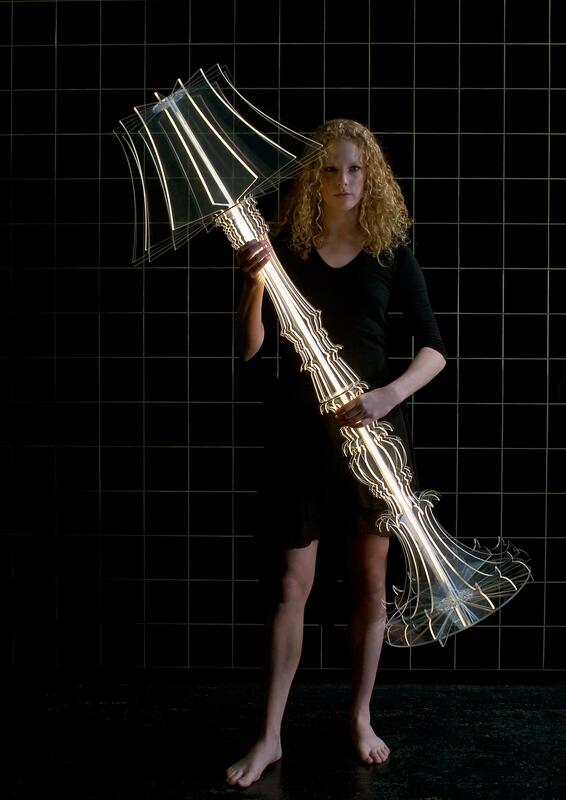 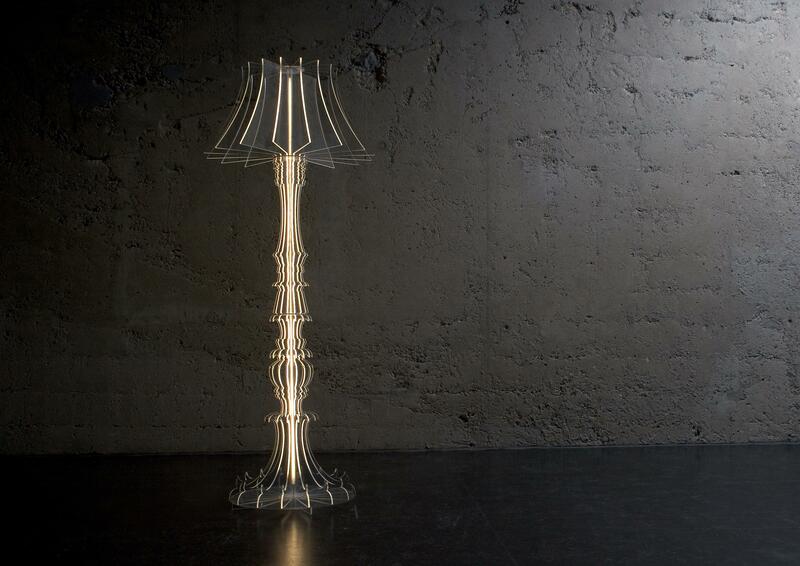 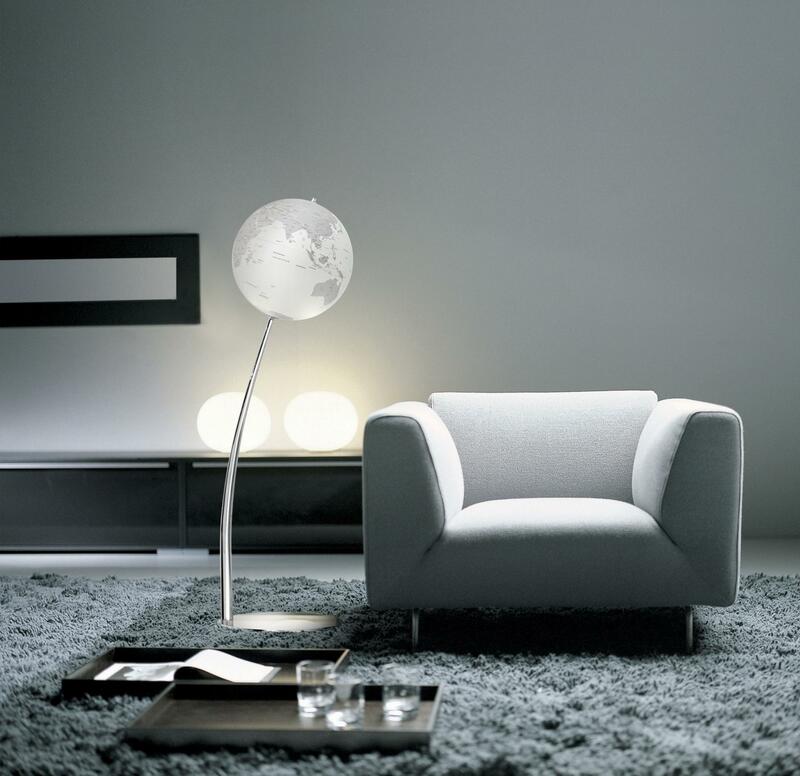 Made from 16 transparent contours illuminated by a dimmable fluorescent bulb, this floor lamp provides a modern reincarnation of the traditional ambient lamp. 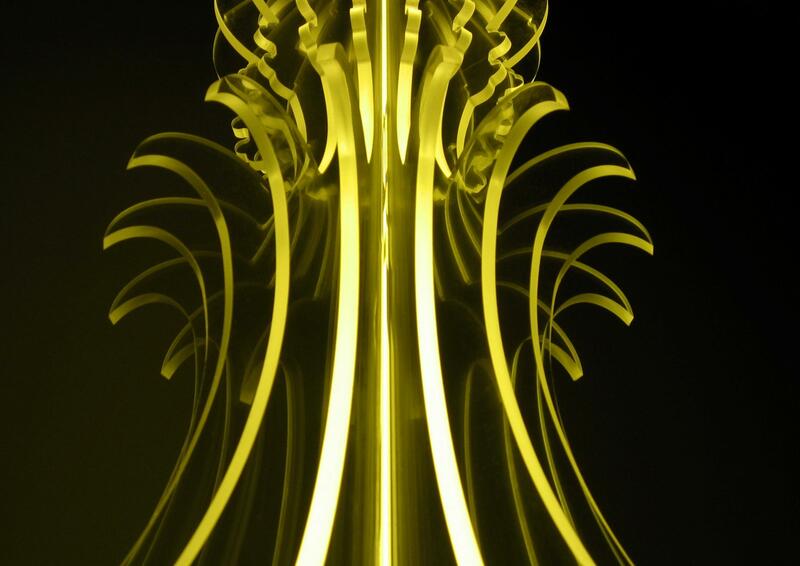 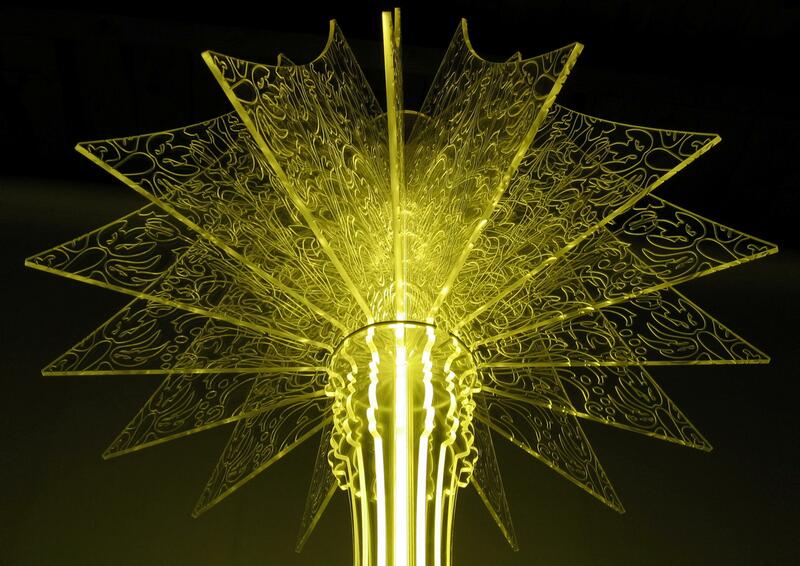 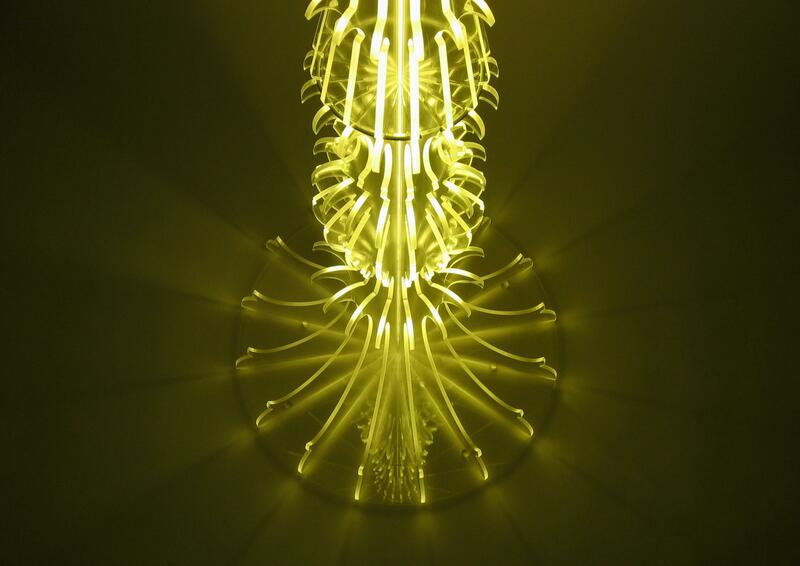 Through the use of special materials and accurate CNC milling techniques, not only the hood section, but the whole body of this fixture emits a magic light. 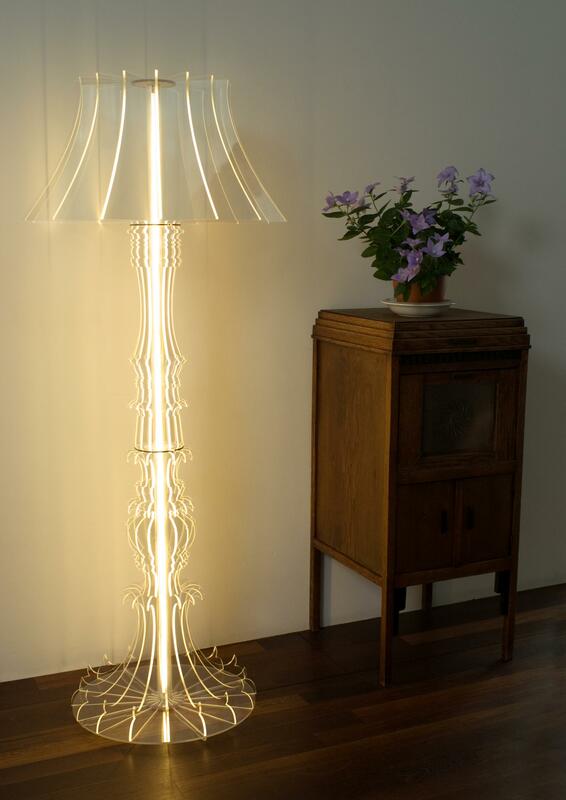 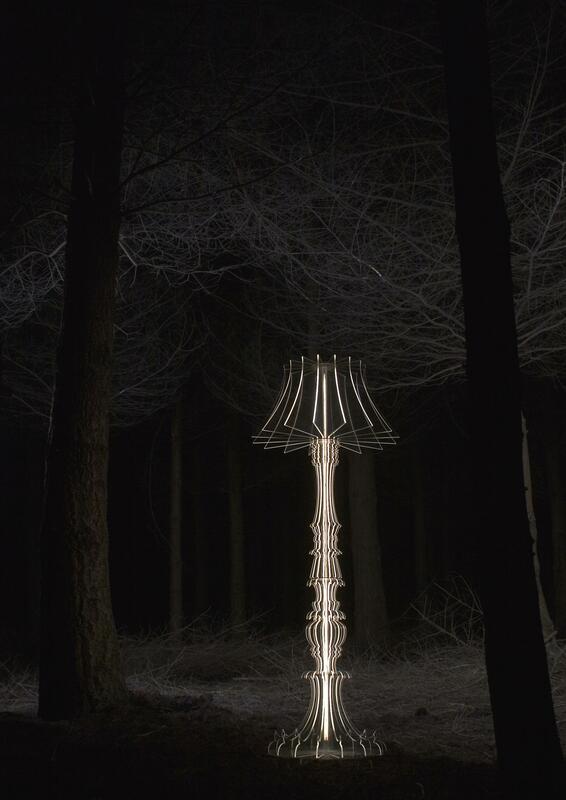 Together with table lamp “Marie-Louise” and chandeliers “Therese” and “Therese XL” this sophisticated design is part of a series of unique lighting fixtures, which are guaranteed eye catchers in any interior. 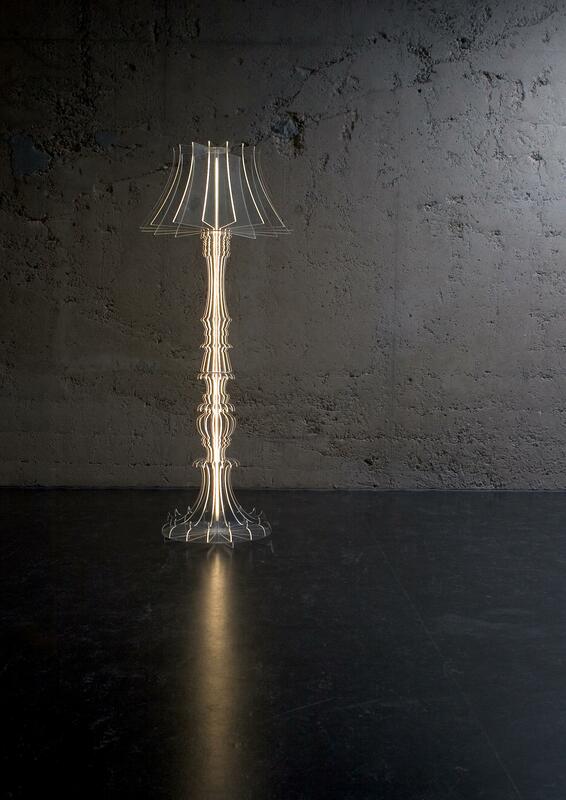 “Josephine” is available with or without a decorative pattern engraved in its hood section.